You cannot add "Enjoy a 2 Course Lunch for Two People in The Garden Rooms at Druids Glen Hotel & Golf Resort for only €28" to the cart because the product is out of stock. From fine dining in Michelin Star restaurants to relaxing in Ireland’s most luxurious spas, from having the perfect night out in the heart of the city to escaping to stunning castles and five-star hotels surrounded by marvelous landscapes and absolute comfort… TheTaste strives to bring you only the best names the island of Ireland has to offer. Indulge better, smarter and more often with the exclusive experiences that our carefully selected array of restaurants, bars and hotels feature just for your enjoyment and treat yourself to memorable days and nights in multi-award wining venues such as l’Ecrivain, Rustic Stone, Ashford Castle or Maryborough Hotel and Spa, just to mention a few of the names we work with. Is there someone special who deserves a treat? Give them a Taste Gift Voucher and you’re giving them the gift of a great night out or a luxury escape away. With this special gift of a €100 voucher from TheTaste, you’ll be able to escape to a beautiful Irish destination, enjoy an unforgettable meal or treat yourself to a fabulous night out in the city, so, browse to our current offers and curate your ideal taste of pampering and delights. What is a Taste Gift Voucher? Each Taste Gift Voucher carries a monetary balance that can be used to purchase restaurant and hotel treats exclusively on thetaste.ie. Vouchers will be delivered via email to you, so you can print out and include in your card and each voucher has a unique Order ID that when entered prior to purchase, apply a reduction to the order total. This gift voucher can only be used on TheTaste to purchase an offer. It cannot be used at a restaurant or hotel. Gift Vouchers are valid for the amazing online offers displayed on TheTaste.ie. Simply give into temptation and browse the best restaurants and hotel in Ireland. Our Vouchers can be used as full or part payment for all purchasable offers. If the restaurant or hotel offer costs more than the value of the Gift Voucher, you can pay the additional amount at check-out. Please note your Gift Voucher must be used all in one transaction and cannot be split across multiple transactions. How do I spend my Gift Card? Recipients can enter the unique Order ID in the discount/coupon box at the check-out when making a purchase. The value of the Gift Voucher will be deducted from total balance. If the total balance is less than the value of your Gift Voucher, simply add another treat to your basket, until you have used up entire value of the Gift Voucher. How long will my Gift Card be valid for? Your Gift Voucher is valid for 12 months after the date of purchase. Gift Vouchers will be sent via email and should arrive in your inbox instantly. I need to cancel my Gift Card purchase – what should I do? We offer a 7 day return policy on all Gift Vouchers, provided it hasn’t yet been used to purchase any offer on TheTaste. If you need help simply email info@thetaste.ie and someone of our Taste Team will be back to you within 24 hours. – Individual offers purchased with this voucher are subject to their own Terms & Conditions. – This voucher is valid for 12 months starting from its date of purchase. – You must be over 18 years to purchase this offer. – Cannot be combined with any other promotion and/or discount. 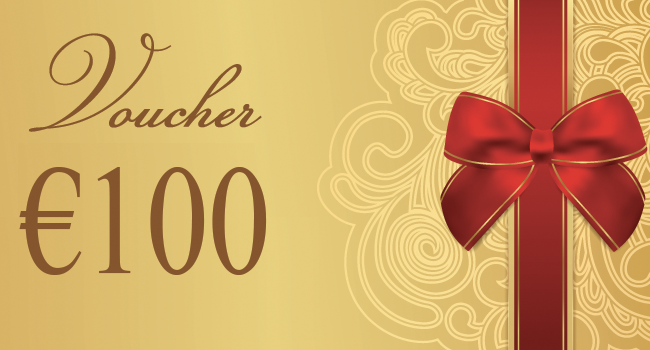 – This gift voucher can only be used on TheTaste to purchase an offer. It cannot be used at a restaurant or hotel. – Multiple tickets may be purchased. – To use your gift voucher: once you have purchased your voucher, you’ll receive an email with the voucher and its unique Order ID. Once you have this code, you can select the offers you want to purchase with your voucher and introduce the unique ID at the checkout to reduce the balance of the offer’s total price. Any remainder amount can be used for future purchases.